Keeps ALL your plastic surface looking better than new! Blackfire Plex Pro is the perfect solution to the problem that many detailers run into frequently, dull, dirty, and dinged plastic. Blackfire Plex Pro can be used to not only thoroughly clean your plastic surfaces, but protect them from future damage, mess, and fogging as well! Because Blackfire Plex Pro doesn�t use any harsh chemicals or abrasives, you won�t have to worry about any potential damage cause during the cleaning/protecting process! Plastic is notorious for being one of the most difficult surfaces to clean and protect. This is due to the fact that many plastic surfaces, particularly interior plastic, generate a large amount of static electricity. 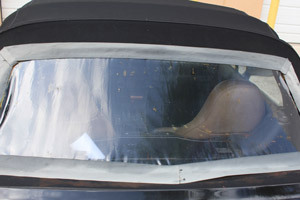 This static electricity cause dust and other light contaminants to flock to and stick to the surface much more strongly than the other surfaces in and on your car. 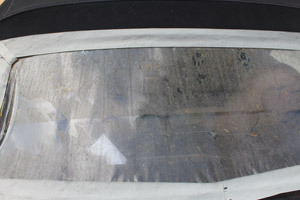 Blackfire Plex Pro was designed to act as a barrier between your plastic surfaces and the contaminants that it attracts. Blackfire Plex Pro has an anti-static quality to it that will ensure your plastic not only stops attracting dust, but actively REPELS dust away! This repelling effect is not just confined to dust, Blackfire Plex Pro prevents all sort of unsightly things from finding their way onto your plastic surfaces. 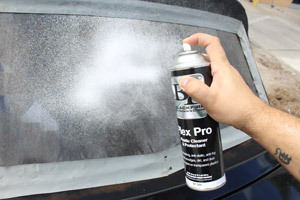 Streaks, smudges, dirt, and even fog will be effectively repelled from your plastic surfaces with the use of Blackfire Plex Pro! BLACKFIRE Plex Pro quickly cleans clear plastic surfaces simply using a spray and wipe technique. Remove dirt, dust, smudges, and more quickly and easily! Because plastic is easily damaged, you have to be very selective with the products you use on it. Plastic is very sensitive to scratches and removing those scratches can be quite difficult. Blackfire Plex Pro was designed without any abrasives, so it won�t cause any scratches or marring during use! In addition to scratches, plastic is also quite prone to serious damage from strong chemical cleaners. Some APCs are known to contain corrosive cleaners that will eat away at your plastic surface and leave permanent damage behind. Blackfire Plex Pro uses only safe and mild cleaner agents that will not cause any damage to your sensitive surfaces. Blackfire Plex Pro doesn�t stop at plastic though! You can use Blackfire Plex Pro to clean and protect your chrome, Formica, porcelain, fiberglass, and marble, all with the same incredible results! Shake well before use. Holding the can in an upright position approximately 6-8 inches away, spray Plex Pro onto the surface to be treated. If surface is dirty, this spray can be used to clean and a re-spray can be used to polish and protect. 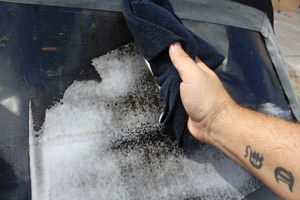 Wipe surface using a clean microfiber towel. Additional coats will increase protection and resistance against wear and scratching.